As soon as I heard that it was a bake off using free from ingredients I decided to go with a sugar and dairy free banana loaf cake, because I always have over ripe bananas to use up, which are naturally sweet anyway, so why not show case this for the bake along. However…….. then I decided to add a Snickers Bar** glaze thus making it neither ha ha!! BUT up until the glaze the cake is free from sugar and dairy so for any of you who are reading this and want to make a free from version, just don’t add the glaze. However, if you are able to eat dairy then I recommend the added topping because it really made this simple banana cake into something that little bit more special and delicious! 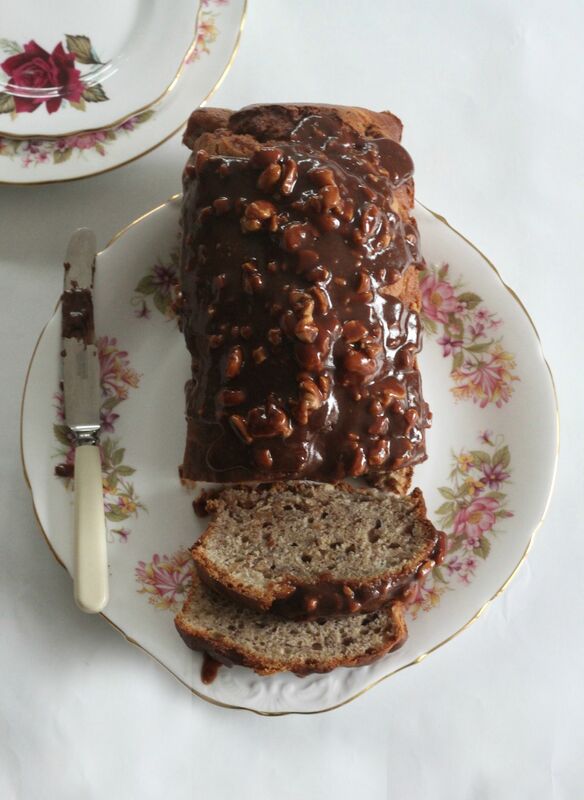 Here is how you can make this Banana Loaf Cake with a Snickers Glaze. 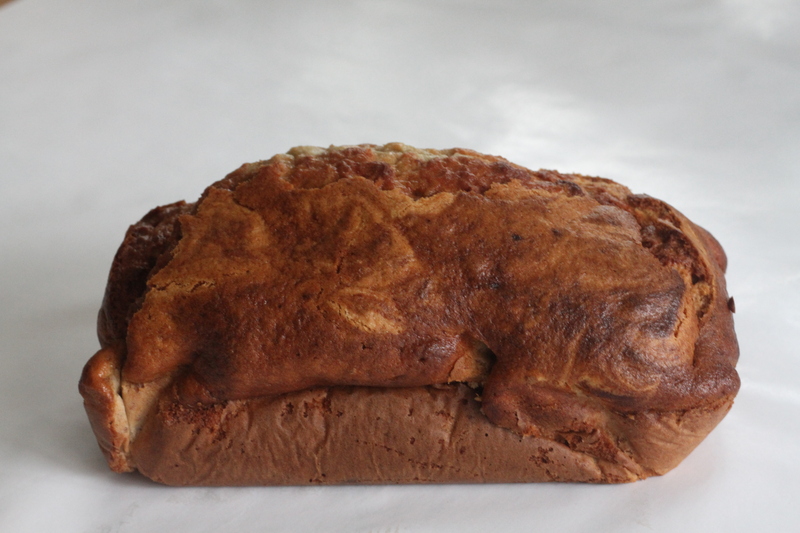 Pour over your loaf cake, leave to set for about 30 minutes and it is now ready to serve. The diary and sugar free version without the glaze! 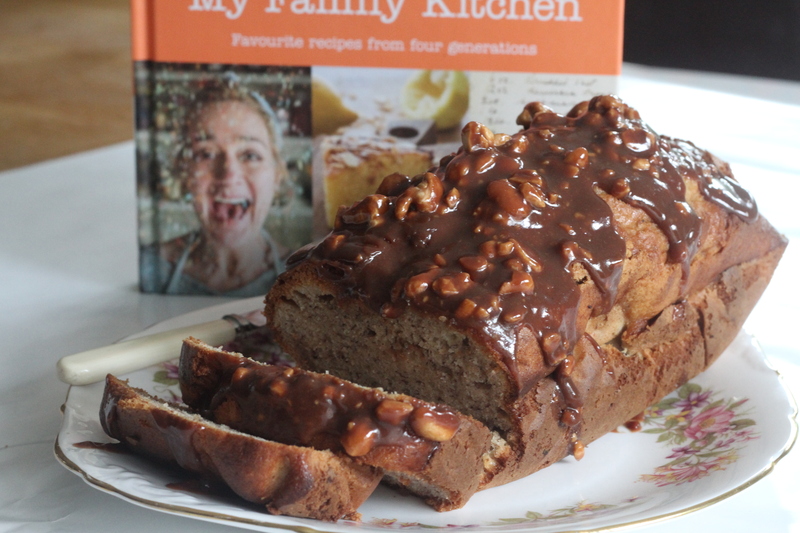 This recipe was actually inspired by one I found in a wonderful new recipe book by Celebrity Masterchef winner Sophie Thompson entitled My Family Kitchen (see page 172 for her Banana Bread) but I substituted some of the ingredients -see above-and added my own topping ). Now, I really love cookery books, I love the photographs and the stories behind recipes, if any are included, and I also love recipes which are ‘normal’ and ‘everyday family’ ones. Fancy gourmet ones may sound amazing, but I much prefer down to earth, every day recipes that I can relate to and can try to replicate myself in my own kitchen. 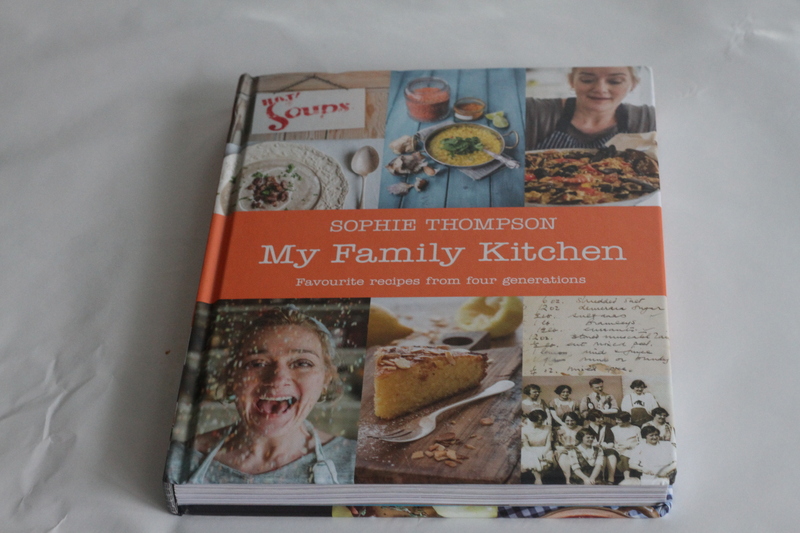 Well, Sophie’s book is just that – it is filled with photographs from Sophie’s life: from her own childhood and now as a wife and mother – it is such an insight in to her life, and it does not feel like she is famous, just a woman who loves cooking for her family, like me I guess! I loved her on celebrity Masterchef because she came across so normal and approachable, and this comes across in her book – her personality shines through and I just adore the names of her recipes. Ones like Coconut Boobies, Topsy Turvys and Flapjocks, Tiramisuki, etc aswell as recipes named after friends and family members. It really is a gorgeous treasure trove of delightful recipes. This week’s bake off linky is being hosted by Kirsty – so please to go and see what she has baked for FREE FROM week. 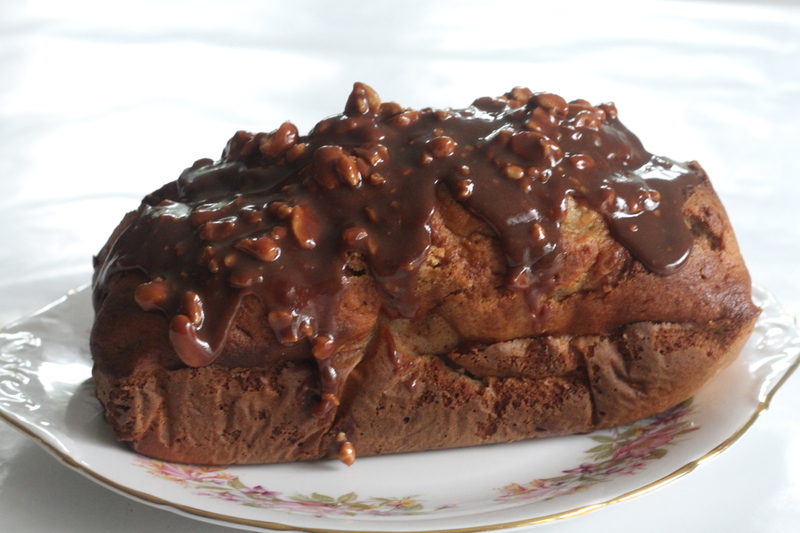 Yumm I have to say the snickers glaze version looks very very nice! Another great bake Jenny, what a brilliant idea to melt chocolate bars to make a glaze…I’m off to raid the sweet shop now to see what would work well…Lion Bars perhaps?!! 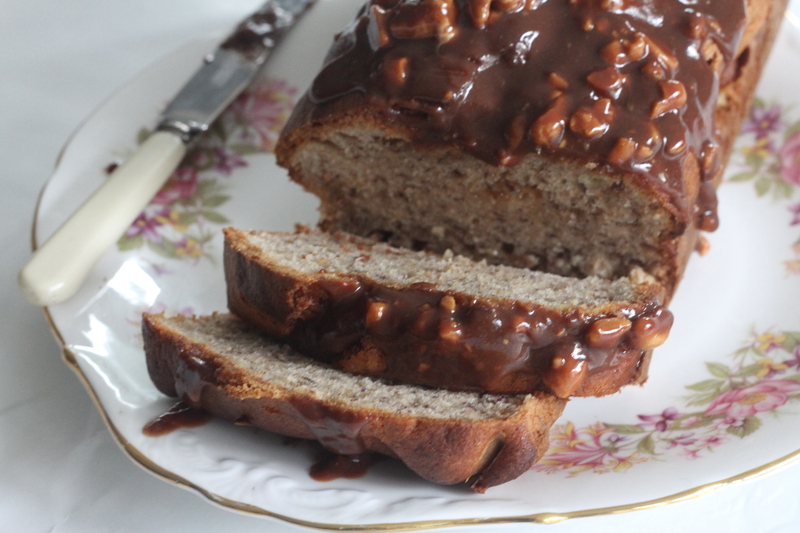 Oh I love the idea of a snickers glaze! Ooh this looks delicious Jenny! And I have to agree that your snicker glaze looks so beautifully glossy. 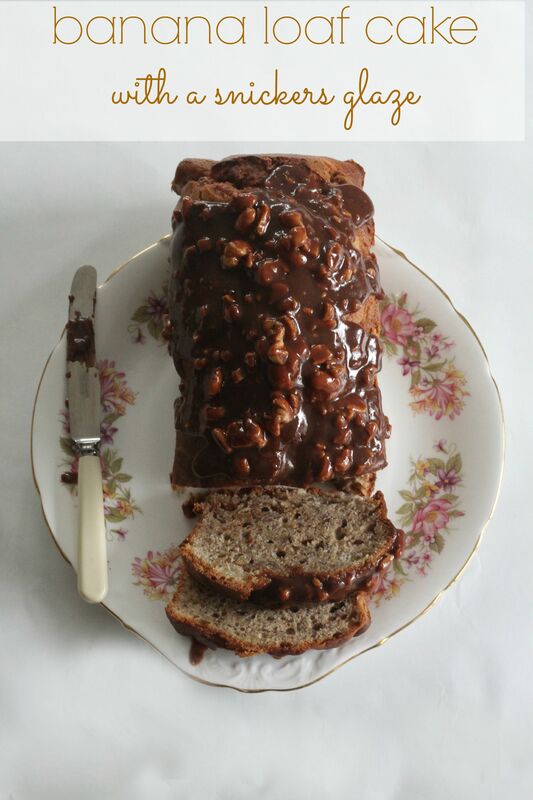 I must admit I’m not a fan of over-ripe bananas, but this truly looks and sounds really good I shall have give it a whirl.